From our premises, located in Blanchardstown, Dublin 15, we manufacture foil containers, lids and dividers to the highest standards of quality and hygiene. Stewart Foil is a fully accredited member of the BRC Global standard (Category A) and is a fully compliant member of Repak Ireland. 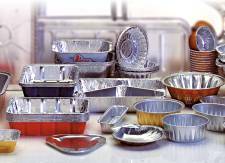 The Company has earned a reputation as a specialist manufacturer of Aluminium Foil Containers, Board Lidding, Board Bases and Board Dividers, with a total emphasis on quality, hygiene and reliability and customer service. Along with our extensive range of both wrinkle wall and smooth wall foil containers, Stewart Foil offers a comprehensive range of lidding to suit all requirements. Our board products can be produced in many different sizes and textures, so we can produce lids or base boards to suit almost every need. Tooling on new closure lines is quick and relatively cheap. If you have a particular requirement, please do not hesitate to contact us. Our extensive range of wrinkle wall & smooth wall foil containers fulfils the container requirements for the large food manufacturer & processors to the needs of the butchers, bakers and deli-counters. 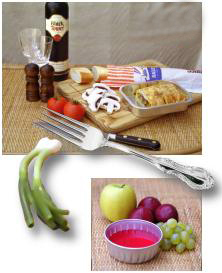 We look forward to helping you fulfil your foil container and lidding requirements.